Dinner plate measuring approximately 10 1/2 inches. No chips, cracks, breaks or rough rims - very little sign of use. 4 dinner plates are available and priced individually. 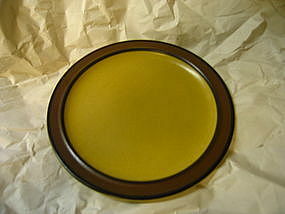 Also, available for purchase are 4 salad plates, 4 rimmed soup bowls and chop plate. I need your zip code to calculate the postage.